A few years ago in Gainesville, a troubled student was spotted by a teacher and friends standing at the top of a bridge and they were concerned for his well-being. All three immediately contacted the PALS counselor at their school to express their concerns. The boy admitted that he had a gun in the backpack in his car. The boy was admitted to the local crisis stabilization unit for treatment, and a potential tragedy was averted. Potential crises are prevented in our schools that many of us aren’t aware of because it’s not in the news. But due to the PALS Program, this is the case in several Alachua County Schools. Partners in Adolescent Lifestyle Support, a non-profit organization supported by UF Health Shands Psychiatric Hospital, grants and donations, is an organization that strives to ensure that “no one sits alone” with anti-bullying, suicide/violence prevention and leadership programs in Gainesville schools. Currently, the PALS Program is in five Alachua County Schools. Each school is individually assessed to tailor the program to fit the needs of their population. PALS’ services are enabled by the Alachua County school system, which also supplies support to track and report program results. What Does the PALS Program Do? Adolescent leaders in the community are paired with teens suffering from emotional and social impairment, substance abuse and behavior difficulties. Professional intervention is accessible to the students several times a week at no cost. Clinical support is also provided free of charge by three University of Florida Departments – -Counseling Psychology, School Psychology and Counselor Educations. Along with offering clinical support and peer leaders, PALS implements education programs in the schools for violence and substance abuse prevention as well as improving the milieu of the school by emphasizing inclusion and altruism. PALS students operate on the motto that “No one sits alone.” When PALS students see others by themselves, they always invite them to join them. Recognized by BCBS’s The Blue Foundation in 2007, the PALS Program was honored with The Sapphire Award and $100,000 grant. The honorees represent programs that demonstrate excellence and achievements through processes that can be replicated in other communities and programs. One of the many great events in support of the PALS Program is an event near and dear to the Bosshardt Family of Companies, including staff and Realtors®. The Cadillac Invitational, a premier amateur golf event being held on Thursday, Nov. 13th, 2014 at Haile Plantation Golf & Country Club. For the past 14 years, Bosshardt Realty, LLC. has been supporting this tournament, raising funds and awareness for the PALS Program. The event consists of a golf scramble, silent auction, lunch, dinner and short program for the golfers and their guests. We are fortunate to have PALS mentors share their stories during lunch. Bosshardt Realty invites you to become a partner in this event and help us to make it a success. 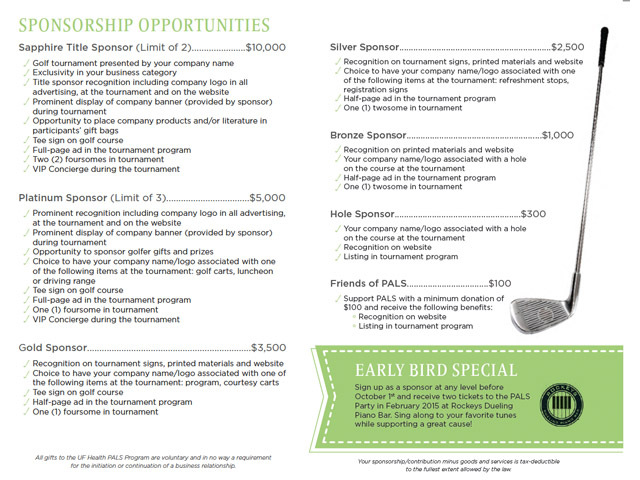 To become a sponsor or to register to golf, visit PALS to register for the tournament.